Why Rep. Steve Scalise spoke to a white nationalist hate group: Racism in Louisiana. Why Rep. Steve Scalise spoke to a white nationalist hate group. Choosing his audience: Rep. Steve Scalise, left, speaks to members of the media as House Speaker John Boehner listens on June 19, 2014, in Washington, D.C.
Scalise’s spokeswoman, Moira Bagley, said that when the congressman spoke to EURO as a state representative, he had been unaware of the group’s views. Why would a congressman speak to this group? Scalise’s choice to speak shows the incredible power prejudice still wields in modern Louisiana. My friend Lamar White, a Louisiana journalist, broke the story about Scalise by publishing the Stormfront posts about the speech on Sunday. Louisiana has had a long history of racism, and White knows it well. His great-aunt, historian Sue Eakin, rediscovered the book that was the basis for the film 12 Years a Slave. Earlier this year I tagged along as White was interviewed by the BBC for a series about the movie’s reverberations in Louisiana. Solomon Northup, the movie’s main character, spent the 12 years that he was kidnapped and enslaved on various plantations in Central Louisiana, and the descendants of the people in the film, slaves and masters, still live in the area. Names like Epps and Ford, two of Northup’s owners, are recognizable from the churches, the cemeteries, and the family names of people in the area. When I visited the sites from 12 Years a Slave with White and the BBC, it was clear that Louisiana needed to confront not just its dark past, but also its present. A noose hangs from a tree in former slave country. This noose was only a hundred feet from where Northup had been enslaved, a hundred feet from where Northup was hanged and nearly killed by a white carpenter with whom he’d had a disagreement. (Northup lived only because his owner owed a mortgage on him.) It was only a hundred feet from a place where hundreds of blacks had been enslaved, whipped, beaten, raped, had their families ripped apart, and been murdered. 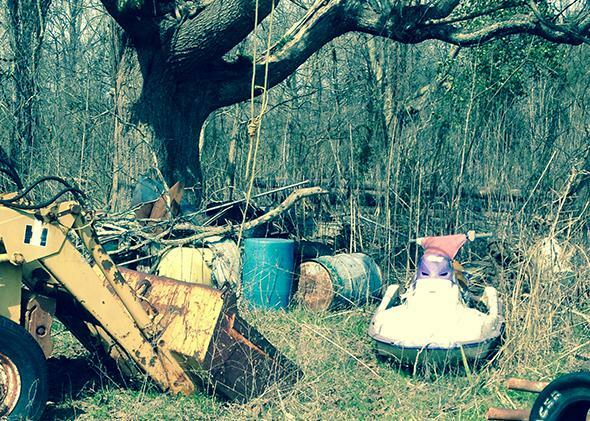 There were still nooses in the trees, and they weren’t relics left over from the antebellum. They were a clear signal: Blacks aren’t welcome near this property. Landrieu came under fire immediately. Gov. Bobby Jindal accused her of “living in a different century.” But, when it comes to race, Louisiana is nowhere near the 21st century. My freshman year of high school in 2007, my classmates and I wore black to protest the treatment of the Jena 6. After constant racial provocation in this small North Louisiana town, including white students hanging nooses from the “white tree” after black students sat under it, a fight put a white kid in the hospital. The black students were charged with attempted second-degree murder. When Scalise showed up at the EURO workshop in 2002, he was a small-fry Louisiana state representative looking for political support, and it worked. 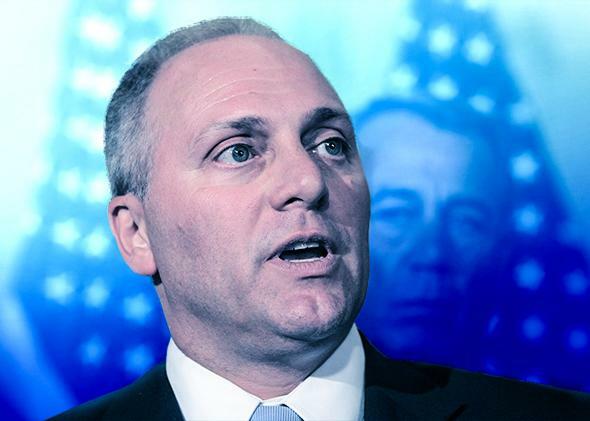 A couple of years later, Stormfront members were still recommending voting for Scalise for Congress because he had shown “support for issues that are of concern to us.” Over the years, Scalise has been a reliable voice on these issues, from being one of only six votes in the Louisiana House in 2004 against making Martin Luther King Jr. Day a state holiday to saying he wouldn’t rule out impeaching President Obama. Most trees in Louisiana don’t have nooses in them, but there are enough racists, who are still voting, that politicians cater to them.